Monthly magazine published in English in America founded over 60 years ago. The magazine is devoted mainly to the framing techniques (conservation framing, mat decoration, etc.). Moreover it includes general articles such as: customer relations, advertising the store, shop management, employee relations, etc. There are also articles that explain the latest news regarding the materials, equipment, new technologies, the use of the internet etc. The articles are written by experts in the various fields (as Brian Wolf, John Ranes, Jay Goldz, Chris Paschke etc.). PFM sponsors the WCAF Art & Frame Expo fair which takes place every January in Las Vegas. In the magazine's website you can read almost all the articles. The various topics are neatly classified for an easy searching. The latest number is readable only partially. This is the official publication of the association Fine Art Trade Guild and thus reflects the aims and activities of the association. The magazine was founded in 1905. Each issue consists of approximately 68 pages in A4 format (21x29.7 cm). The articles include all issues of the frames industry and art in general. In particular the articles concern the trends on models of frames and mounts, the marketing of works of art, the overview of new products in the industry, new technologies, the use of internet in the framing field, the program of fairs and events and the subsequent fairs reports, etc. Particular attention is given to protection against forgery of works of art. 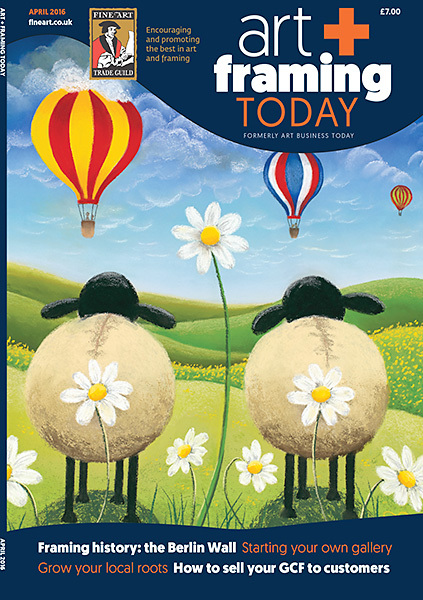 The magazine can be read by subscribers on the internet. It is also available on the AppStore. The magazine is published by the publishing company RGM Redwood Media Group which also publishes the magazine Art Business News. The magazine Decor was born 130 years ago. Temporaly it stopped publishing for about 10 years but has resumed in 2014. 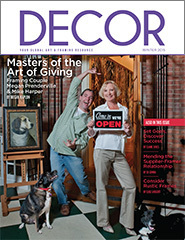 Decor is a quarterly magazine that contains articles about the frames industry and art in general. Each issue consists of 40 pages in the format of cm 21x27,5. The RGM declares that the readers of the magazine Decor in conjunction with Art Business News magazine are: 65,000 players, 30,000 readers on the internet, 13,000 subscriptions, 13,000 followers on Facebook and Twitter, 25,000 copies distributed free during exhibitions and art events. All Decor articles can also be read on the internet. Decor can also be read on tablets and mobile. Monthly magazine in German founded in 1909. Each issue consists of 50 pages in A4 format (21x29.7 cm). 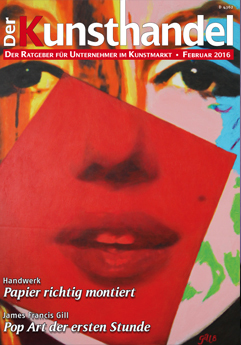 The magazine contains many articles on art, artists and art exhibitions, especially European. Some articles cover certain special techniques such as gilding and conservation framing. Several articles deal with the management of the workshop with particular attention to the use of new technologies and new media. There are also included reports and the comments about the fairs concerning art and framing. In the website of the magazine you can read all yje articles published since 2009. The various topics are neatly classified for an easy searching. But you can not read the articles published recently.